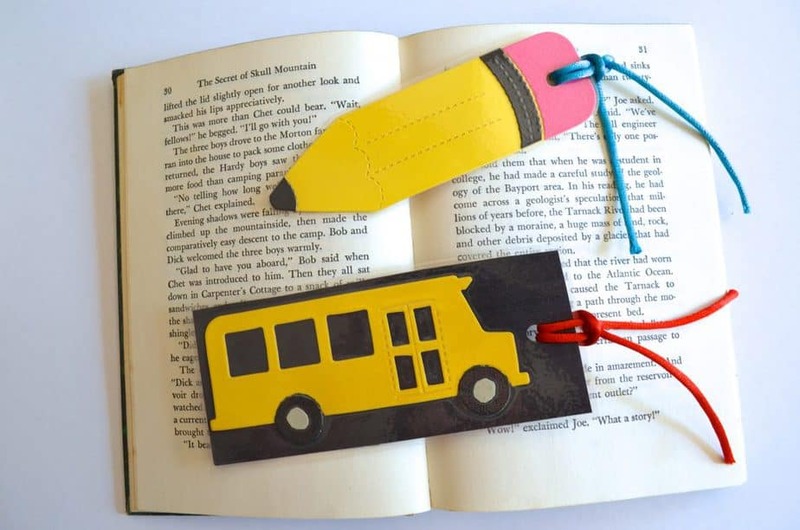 Bookmark – such an EASY and inexpensive gift to get kids excited to open a book! Back to school is such an exciting time and students eager to head to school might not be so eager to get started on piles of homework right away! 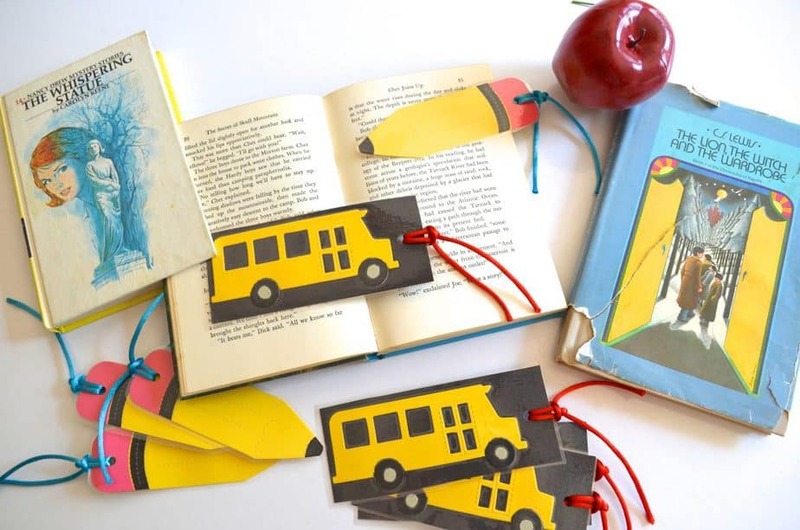 These brightly colored bus and pencil bookmarks literally take only a few minutes to make and are just adorable! We have partnered with Ellison for a year now I think and it’s been fabulous working with their dies to come up with creative ideas to use in your classroom and at home. I REALLY love it because all of our die crafts and activities are made using their SuperStar machine which is not only affordable enough for you to keep for yourself in your classroom but the dies are WAY cheaper than buying electronic cartridges from a Cricut or Silhoutte.